She got a big hole from a Bertha gun. She turned blood red in World War Two, And she hung limp and low a time or two. She's been burned, dishonored, denied, refused. And the government for which she stands Is scandalized throughout the land. She's getting threadbare and she's wearing thin, But, she's in good shape for the shape she's in. Because she's been through the fire before, I believe she can take a whole lot more. So we raise her up every morning, and we take her down every night, We don't let her touch the ground, and we fold her up right. Because I'm mighty proud of that Ragged Old Flag." Some people call me Old Glory, others call me the Star Spangled Banner. But what ever they call me, I am your Flag. 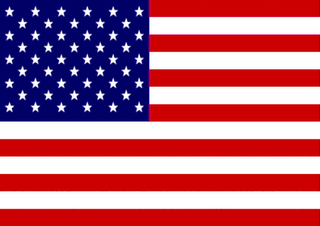 The Flag of the United States of America. Something has been bothering me, so I thought I might talk it over with you. I remember some time ago, people lined up on both sides of the street to watch the parade, and naturally I was always there, proudly waving in the breeze. When your daddy saw me coming, he immediately removed his hat and placed it over his heart, remember? And you, I remember you standing there, straight as a soldier. You didn't have a hat but you were giving the right salute. Remember your little sister, not to be outdone, she was saluting the same as you, with her hand over her heart, remember? What happened? I'm still the same old Flag. Oh, a few more stars have been added since you were a boy, and a lot more blood has been shed since the parades of long ago. But I don't feel as proud as I used to. When I come down your street you just stand there with your hands in your pockets. I may get a small glance, but then you look away. I see the children running around and shouting. They don't seem to know who I am. I saw one man take off his hat and look around. He didn't see anyone else with his hat off, so he quickly put it back on. Is it a sin to be patriotic anymore? Have you forgotten what I stand for and where I've been? Anzio, Normandy, Omaha Beach, Guadalcanal, Korea and Vietnam. Take a look at the names on the Memorial Honor Roll sometime. Look at the names of those who never came back in order to keep this Republic free. One Nation Under God. When you were saluting me you were actually saluting them. Well, it won't be long until I'll be coming down your street again, so when you see me, stand straight, place your right hand over your heart. I'll salute you by waving back, and I'll know that you remembered." (This tribute was also published in the May-June 1989 issue of "The Sojourner." HAVE YOU EVER CONSIDERED BECOMING A MASON? Did you Know Paul Revere was a Mason? IS FREEMASONRY A SECRET SOCIETY?